Reckoned as one of the emergent companies of the industry, we are extremely immersed in providing Cotton Chindi Rugs. We are looking inquiries from Germany, Italy, Australia, Denmark, Netherland, France, Japan, South Africa, USA, UK, Canada, Europe, Singapore, Thailand, Bangkok, Malaysia and Russia. 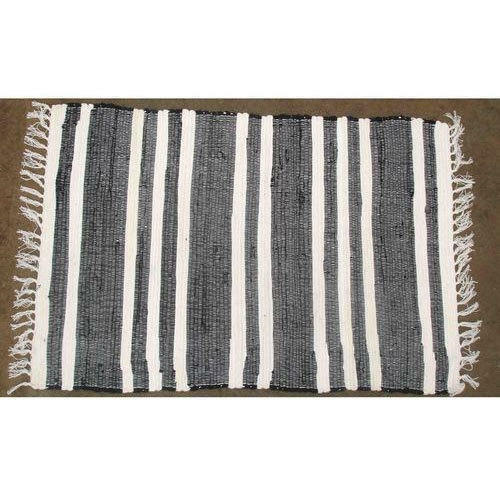 We have carved a niche amongst the most trusted names in this business, engaged in offering a comprehensive range of Cotton Chindi Stripe Rug. Leveraging the skills of our qualified team of professionals, we are instrumental in offering a wide range of Unicolor Cotton Rug. In order to keep pace with the never-ending demands of customers, we are involved in offering a wide range of Designer Cotton Rug. Usage Home, Hotels, Restaurants, etc. Matching up with the ever increasing requirements of the customers, we are engaged in providing Multi Color Cotton Rug.